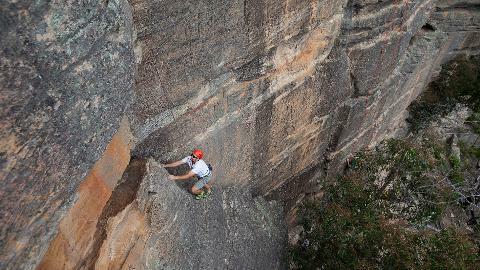 A whole day of thrills, Rock Climbing in the Blue Mountains. 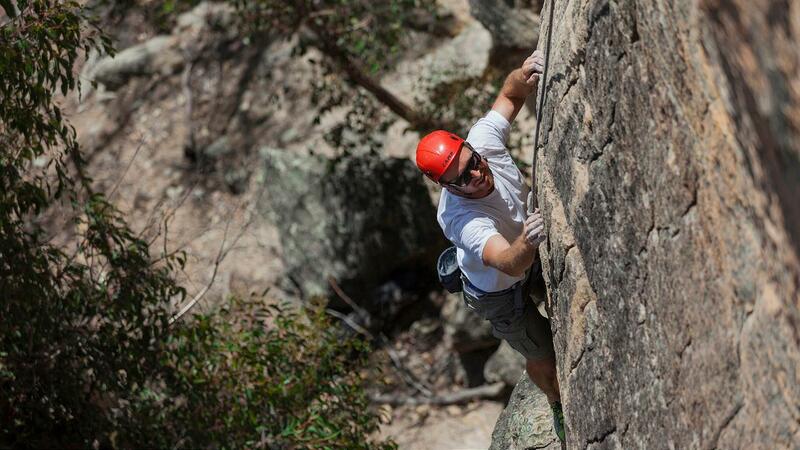 Get a taste of Rock Climbing before committing yourself to a full climbing course! This activity is designed for participants with little or no previous experience. Afterwards you'll be able to return to complete day two of our Rock 1 Course to bring you up to a full Beginners Rockclimbing level! 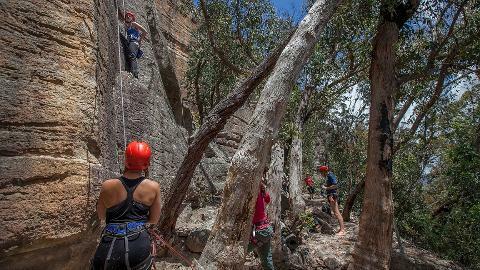 The climbing will range from easy to challenging with ample opportunity for you to try a range of varied climbing styles from faces to cracks. There will also be a class in abseiling for those who have never experienced that activity.